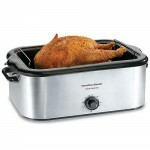 Wilton is the number one bake ware brand in the United States. Over the years, many people have come to not only trust, but rely on the Wilton brand to the point where some businesses, and even home bakers, won’t consider using any baking product by any other company. Decorated sugar cookies are a favorite baked good during the holiday season. These types of cookies make their way into classrooms and community parties, bake sales, and the holiday dessert table. Many families make baking and decorating cut-out cookies part of their holiday traditions, so having a variety of holiday themed cookie cutters can make making this style of cookie far more fun. This Wilton Holiday Cookie Cutter Set Of 9 has several features that make them a popular choice for those making cut out cookies. This set of nine Wilton Holiday Cookie Cutters gives cookie bakers a wide choice of Christmas shapes to choose from when baking cookies. The simple lines of these cutters also make them great for kids to trace when making their own Christmas cards and crafts. Reviews for these cookie cutters are quite good. Overall, the majority of customers were more than happy with this set of holiday cookie cutters, and they loved the variety of designs. The Wilton Snowflake Comfort Grip Cookie Cutter is an innovative cookie cutter designed to make larger cookies, while providing a cushion to reduce the pressure on your hand while cutting out that cookie dough. This large cookie cutter is ideal for making large cookies to give as individual gifts. The 1 inch deepness of the cutter also will make this cookie cutter ideal for cutting jello shapes, as well as desserts into Christmas shapes, and serving them individually. Reviews for the Wilton Snowflake Comfort Grip Cookie Cutter are exceptional. Clearly this Wilton cookie cutter was a huge hit with customers and they were really impressed with it. The Wilton Christmas Tree Comfort Grip Stainless Steel Cookie Cutter is a large cookie cutter that cuts out that cookie dough and a lot more. One of the best things about this cookie cutter is that can it can be used for far more than simply making cookies. You can use this cookie cutter to cut bread for holiday inspired french toast and sandwiches, or even to cut those Christmas morning pancakes. The sturdiness of this cookie cutter also makes it great for making salt dough ornaments with your kids. 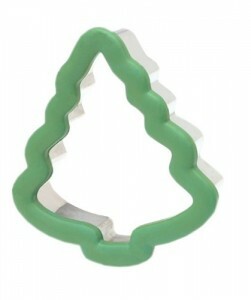 Reviews for the Wilton Christmas Tree Comfort Grip Stainless Steel Cookie Cutter are excellent. All in all, customers loved this Christmas tree cookie cutter, felt it was great value for money and would make a great gift. The Wilton Snowman Comfort Grip Stainless Steel Cookie Cutter, like other comfort grip cookie cutters by Wilton, is designed so that you can make large size cut-out cookies, as well as other desserts. This Snowman Cookie-Cutter will make large cookies that are easy for small children to decorate. 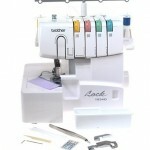 This cutter can also be used to make other creative desserts and foods, as well as crafts. Reviews for the Snowman Comfort Grip Stainless Steel Cookie Cutter are excellent. The general consensus from the majority of customers is that this is a great cookie-cutter and they were thrilled with their purchase. This Wilton Copper Christmas Cookie-Cutter Ornament Set is a nice little set of cookie cutters to use yourself or to give as a gift to anyone who loves to bake. This set of copper Christmas cutter ornaments include a dove which is unique to many cookie cutter sets, and makes absolutely beautiful cookies for the holidays. This set would also make a great exchange gift. Reviews for the Wilton Copper Christmas Cookie-Cutter Ornament Set are extremely good. This copper set was very well liked by customers who felt they were great value for money, washed well, perfect for baking cookies, and perfect to give as gifts. The Wilton Holiday Cookie Set is the perfect set for beginner bakers who want to wow people with their cut out cookies. This is a wonderful holiday cookie set to give to those who are just setting up their first home and love to bake. Not only does it have four excellent cookie cutters, but it also includes some decorative toppings as well. This set is sure to get everyone excited about that holiday baking. Unfortunately, there are no reviews for the Wilton Holiday Cookie Cutter Set at present. However, Wilton is a great brand, and other cookie cutters by this company get rave reviews.